← Why Do Evangelicals Hate Obamacare? On this day, March 26, 2019, the Spirit of John the Baptist, who I was named after, bid me to give New Life to the Knights of Saint John, in order to make sure every American has affordable healthcare. This healthcare is under the Protection of the New Moravian Church, and the Swan Brethren, therefore, it is not a secular-socialist institution. We follow the teaching of Jesus the Healer, and John who gave everyone the Holy Spirit. The Order of Knights of the Hospital of Saint John of Jerusalem (Latin: Ordo Fratrum Hospitalis Sancti Ioannis Hierosolymitani; Italian: Cavalieri dell’Ordine dell’Ospedale di San Giovanni di Gerusalemme), also known as the Order of Saint John, Order of Hospitallers, Knights Hospitaller, Knights Hospitalier or Hospitallers, was a medieval and early modern Catholic military order. It was headquartered in the Kingdom of Jerusalem, on the island of Rhodes, in Malta and St Petersburg. 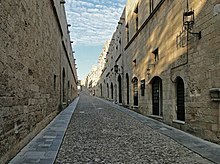 The Hospitallers arose in the early 11th century, at the time of the great monastic reformation, as a group of individuals associated with an Amalfitan hospital in the Muristan district of Jerusalem, dedicated to John the Baptist and founded around 1023 by Gerard Thom to provide care for sick, poor or injured pilgrims coming to the Holy Land. Some scholars, however, consider that the Amalfitan order and hospital were different from Gerard Thom’s order and its hospital. The knights were weakened in the Protestant Reformation, when rich commanderies of the order in northern Germany and the Netherlands became Protestant and largely separated from the Roman Catholic main stem, remaining separate to this day, although ecumenical relations between the descendant chivalric orders are amicable. The order was disestablished in England, Denmark, Sweden and elsewhere in northern Europe, and it was further damaged by Napoleon‘s capture of Malta in 1798, following which it became dispersed throughout Europe. “Piae Postulatio Voluntatis”. Bull issued by Pope Paschal II in 1113 in favour of the Order of St. John of Jerusalem, which was to transform what was a community of pious men into an institution within the Church. By virtue of this document, the pope officially recognized the existence of the new organisation as an operative and militant part of the Roman Catholic Church, granting it papal protection and confirming its properties in Europe and Asia. In 603, Pope Gregory I commissioned the Ravennate Abbot Probus, who was previously Gregory’s emissary at the Lombard court, to build a hospital in Jerusalem to treat and care for Christian pilgrims to the Holy Land. In 800, Emperor Charlemagne enlarged Probus’ hospital and added a library to it. About 200 years later, in 1005, Caliph Al-Hakim bi-Amr Allah destroyed the hospital and three thousand other buildings in Jerusalem. In 1023, merchants from Amalfi and Salerno in Italy were given permission by the Caliph Ali az-Zahir of Egypt to rebuild the hospital in Jerusalem. The hospital, which was built on the site of the monastery of Saint John the Baptist, took in Christian pilgrims travelling to visit the Christian holy sites. It was served by the Order of Saint Benedict. As early as the late 12th century the order had begun to achieve recognition in the Kingdom of England and Duchy of Normandy. As a result, buildings such as St John’s Jerusalem and the Knights Gate, Quenington in England were built on land donated to the order by local nobility. An Irish house was established at Kilmainham, near Dublin, and the Irish Prior was usually a key figure in Irish public life. The Knights also received the “Land of Severin” (Terra de Zeurino), along with the nearby mountains, from Béla IV of Hungary, as shown by a charter of grant issued on 2 June 1247. The Banate of Severin was a march, or border province, of the Kingdom of Hungary between the Lower Danube and the Olt River, today part of Romania, and back then bordered across the Danube by a powerful Bulgarian Empire. However, the Hospitaller hold on the Banate was only brief. Pope Clement V dissolved the Hospitallers’ rival order, the Knights Templar, in 1312 with a series of papal bulls, including the Ad providam bull that turned over much of their property to the Hospitallers. The holdings were organised into eight “Tongues” or Langues, one each in Crown of Aragon, Auvergne, Crown of Castile, Kingdom of England, France, Holy Roman Empire, Italy and Provence. Each was administered by a Prior or, if there was more than one priory in the langue, by a Grand Prior. In 1522, an entirely new sort of force arrived: 400 ships under the command of Sultan Suleiman the Magnificent delivered 100,000 men to the island (200,000 in other sources). Against this force the Knights, under Grand Master Philippe Villiers de L’Isle-Adam, had about 7,000 men-at-arms and their fortifications. 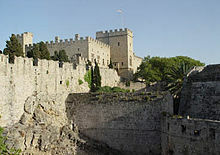 The siege lasted six months, at the end of which the surviving defeated Hospitallers were allowed to withdraw to Sicily. Despite the defeat, both Christians and Muslims seem to have regarded the conduct of Phillipe Villiers de L’Isle-Adam as extremely valiant, and the Grand Master was proclaimed a Defender of the Faith by Pope Adrian VI. After seven years of moving from place to place in Europe, the knights gained fixed quarters in 1530 when Charles I of Spain, as King of Sicily, gave them Malta, Gozo and the North African port of Tripoli in perpetual fiefdom in exchange for an annual fee of a single Maltese falcon (the Tribute of the Maltese Falcon), which they were to send on All Souls’ Day to the King’s representative, the Viceroy of Sicily. The Viceroy of Sicily had not sent help; possibly the Viceroy’s orders from Philip II of Spain were so obscurely worded as to put on his own shoulders the burden of the decision whether to help the Order at the expense of his own defences. A wrong decision could mean defeat and exposing Sicily and Naples to the Ottomans. He had left his own son with La Valette, so he could hardly be indifferent to the fate of the fortress. Whatever may have been the cause of his delay, the Viceroy hesitated until the battle had almost been decided by the unaided efforts of the knights, before being forced to move by the indignation of his own officers. 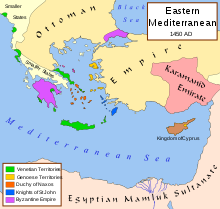 When the Ottomans departed, the Hospitallers had but 600 men able to bear arms. The most reliable estimate puts the number of the Ottoman army at its height at some 40,000 men, of whom 15,000 eventually returned to Constantinople. The siege is portrayed vividly in the frescoes of Matteo Pérez in the Hall of St. Michael and St. George, also known as the Throne Room, in the Grandmaster’s Palace in Valletta; four of the original modellos, painted in oils by Perez d’Aleccio between 1576 and 1581, can be found in the Cube Room of the Queen’s House at Greenwich, London. After the siege a new city had to be built: the present capital city of Malta, named Valletta in memory of the Grand Master who had withstood the siege. In 1607, the Grand Master of the Hospitallers was granted the status of Reichsfürst (Prince of the Holy Roman Empire), even though the Order’s territory was always south of the Holy Roman Empire. In 1630, he was awarded ecclesiastic equality with cardinals, and the unique hybrid style His Most Eminent Highness, reflecting both qualities qualifying him as a true Prince of the Church. The Knights’ changing attitudes were coupled with the effects of the Reformation and Counter-Reformation and the lack of stability from the Roman Catholic Church. All this affected the knights strongly as the 16th and 17th centuries saw a gradual decline in the religious attitudes of many of the Christian peoples of Europe (and, concomitantly, the importance of a religious army), and thus in the Knights’ regular tributes from European nations. [not in citation given] That the knights, a chiefly Roman Catholic military order, pursued the readmittance of England as one of its member states – the Order there had been suppressed, along with monasteries, under king Henry VIII of England – upon the succession of the Protestant queen Elizabeth I of England aptly demonstrates the new religious tolerance within the Order. :326 For a time, the Order even possessed a German langue which was part Protestant or Evangelical and part Roman Catholic.